Damn. ‘Gigli’ must have really left Martin Brest a broken man.He’s gone quiet now, but he did direct two of the best movies of the 80’s, Beverly Hills Cop and this gem from 1988. 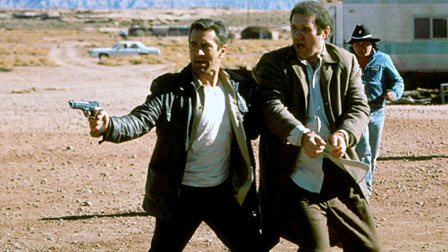 The story involves a bounty hunter called Jack Walsh (played with relish by Robert DeNiro), who is looking to save enough money so that he can retire from bounty hunting and open a coffee shop. 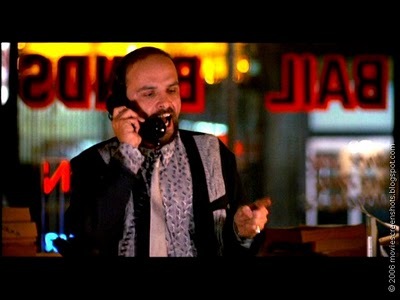 He is told by his boss Eddie Moscone (played by Joe Pantoliano) that another bounty has come in. Eddie tells Jack that the bounty is an ex mob accountant Jonathan ‘The Duke’ Mardukas (played by Charles Grodin), who is still wanted dead by the Mafia, and also sought by the FBI who want him to testify. Jack accepts the job, and will do anything to get The Duke back to L.A, so he can claim his money. Even if that means running from the FBI, dodging rival bounty hunters and even a couple of inept Mafia hitmen. There are many, many reasons why I adore this movie. 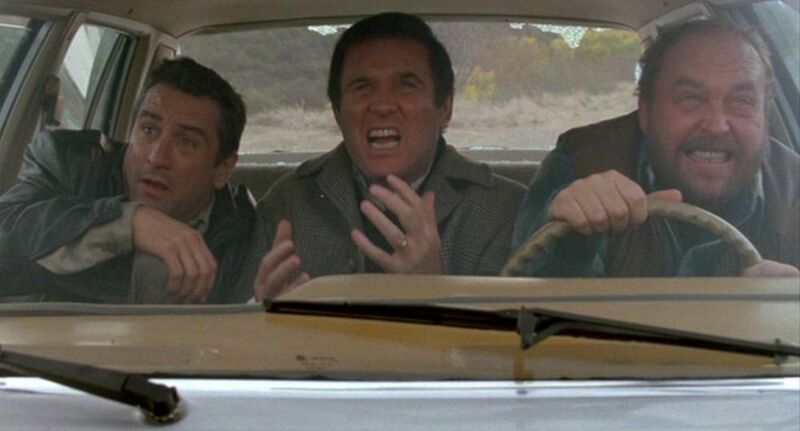 First off his the fantastic interplay between Robert DeNiro and Charles Grodin. They constantly bicker, with The Duke finding new ways to annoy and slow down Jack Walsh, so that he can wait for an oppurtunity to escape, not realising that Jack Walsh is probably the best chance he has of staying alive. 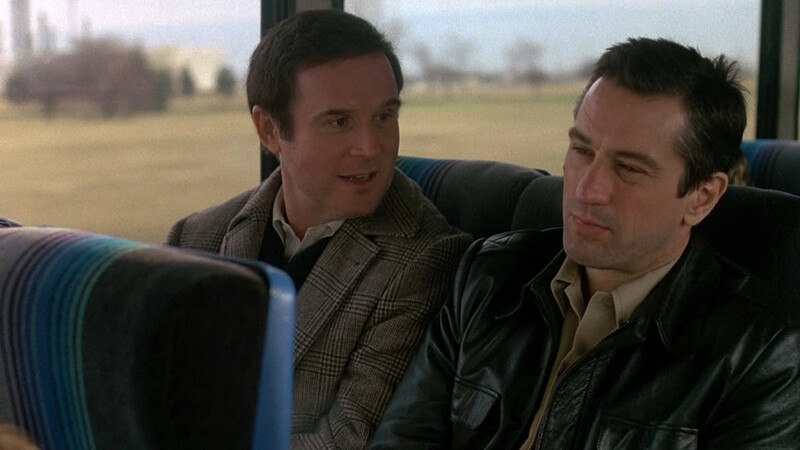 You can sense a genuine admiration between the two as the movie progresses, it really is fantastic and is a testament to the acting ability of DeNiro and Grodin. The script written by George Gallo is just fabulous. Full of witty remarks from Jack Walsh and hilarious situations that the two find themselves in. The supporting cast is brilliant too. 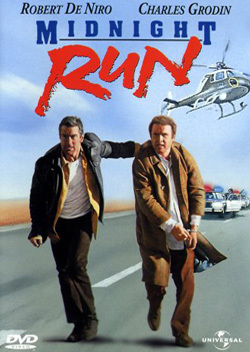 John Ashton who played Taggart in ‘Beverly Hills Cop’, plays rival bounty hunter Marvin Dorfler who unbeknownst to Jack, has been hired by Eddie to also acquire The Duke, as Eddie believes Jack is screwing it up, as it was only supposed to be in Eddie’s words anyway, “a midnight run for Christ sakes!”. 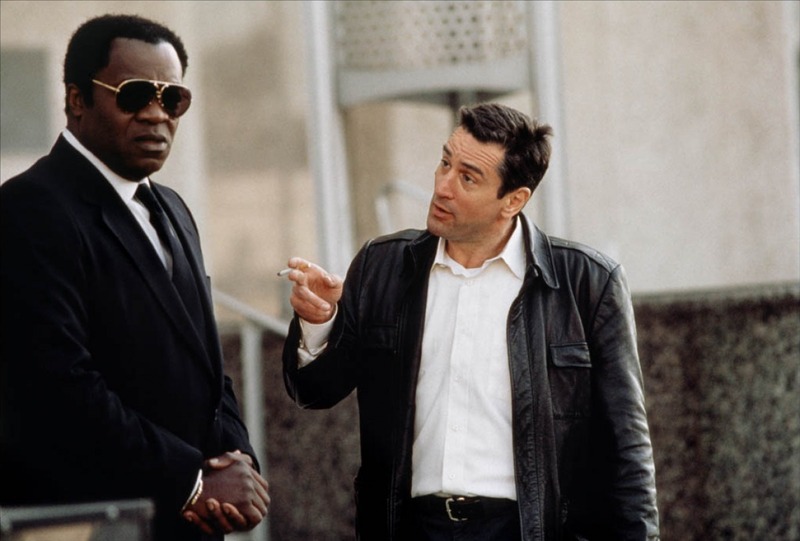 Also bringing their A game is Yaphet Kotto as FBI agent Alonzo Mosely who is constantly left ridiculed by Jack, and also Dennis Farina who plays mob boss Jimmy Serrano, the man who wants The Duke dead and also has a connection to Jack too. The score by Danny Elfman is fantastic. The title theme alone is so catchy, but it’s nothing like Elfman has ever done in any other movie. I really cannot stress the awesomeness of this movie. It is amazing. I can seriously watch this movie over and over and still find myself laughing at the hilarious scenes I know are coming up. If you haven’t seen it then you owe it to yourself to watch it. I can guarantee that it will earn a place in your top ten. It definitely has a place in mine. LOVE this movie! I just found my copy of it (I thought I had lost it in a move) and I haven’t watched it in a very long time. I forgot the score was by Elfman, too. Great review! Thanks! Thanks Vic. It is an awesome movie. Hell I may watch it again now haha. Take care.